As part of your online search strategy, you need to have your own domain name like ChristyMcNee.com or ChristyMcNeeSeoSpecialist.com. 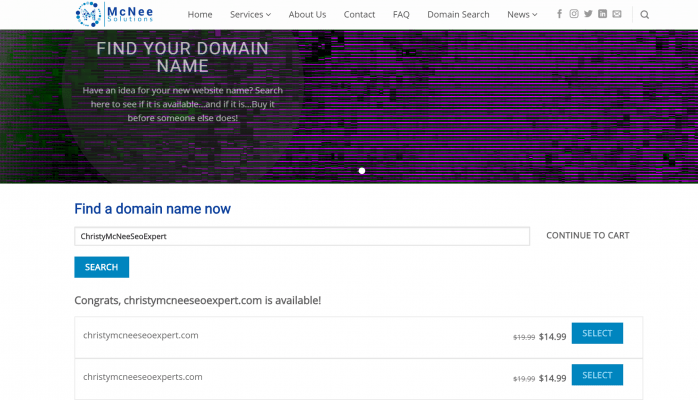 You don’t actually need a website to go along with your new domain name. If you do have a website you can “point” your domain name(s) to your website or where ever you want. Or you can simply “park” your domain name and save it for future use before someone else buys it. Make sure that your referral sources and clients ALWAYS know where to find you. You can even get domain names like WebdesignerExtraordinaireLexington.com so that people searching for specific types of businesses, find your page and not your competitors. At about $15 per year for a domain name…this is the CHEAPEST form of advertising out there and one of the highest forms of SEO that you can get. 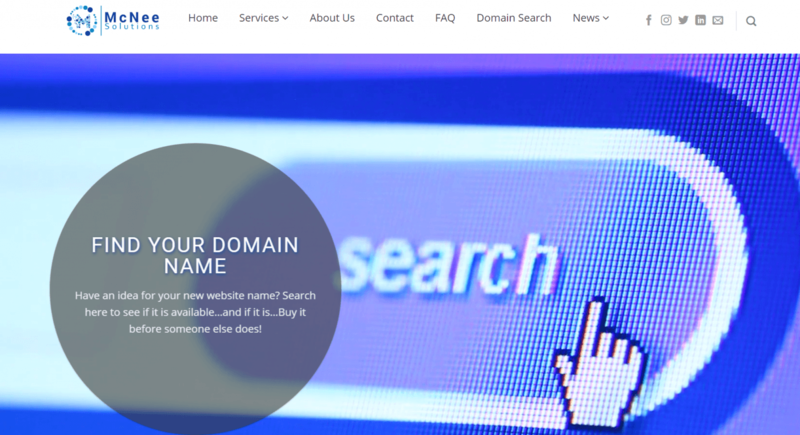 Just visit: https://www.mcneesolutions.com/domain-search/ and type in your name or a term that you want to purchase to see if it is available. If it is…buy it right there. If it is not, you will get some suggested variations that you might like, or simply type in another search term. This entry was posted in Style, Uncategorized and tagged cheap advertising, Domain, Domain names.